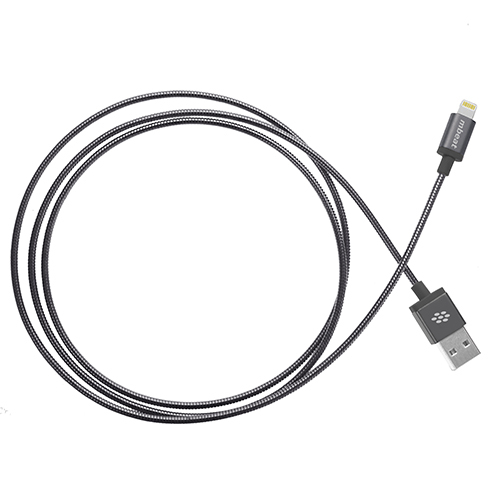 MFI certified lightning cable-Space Gray (1.2m). 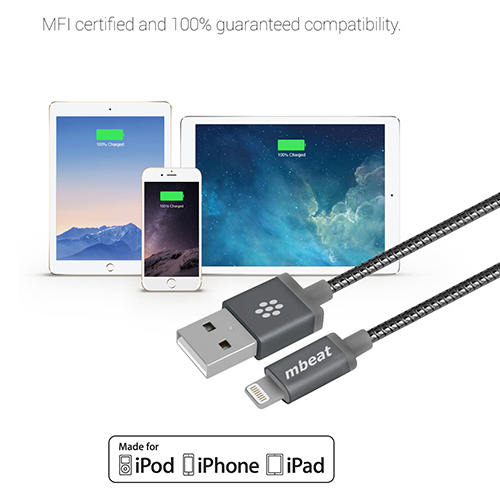 Support 2.4A max current to fast charge iPad tablets. 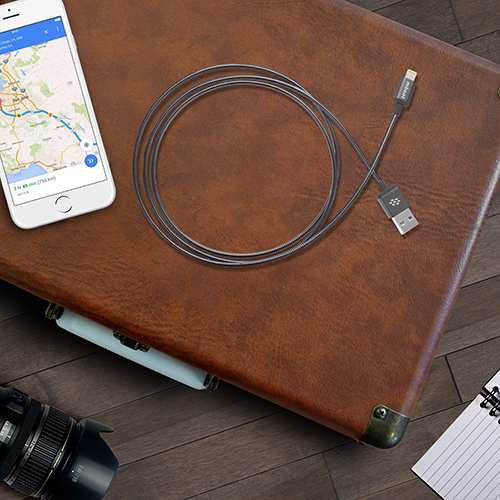 Adding elegance and sense of lifestyle while charging your devices. Metal coiled cable and alloy plugs for double protection. 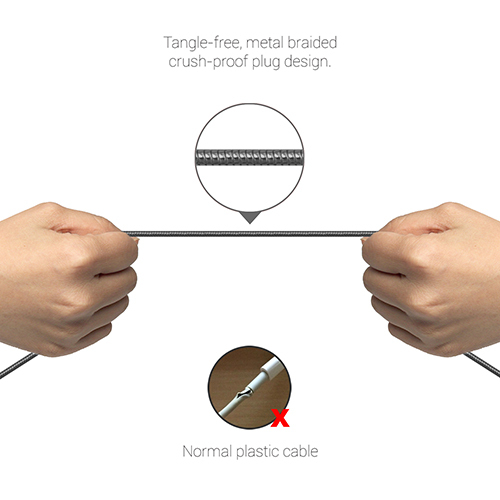 Enhanced cable durability to resist every day’s tear and wear. 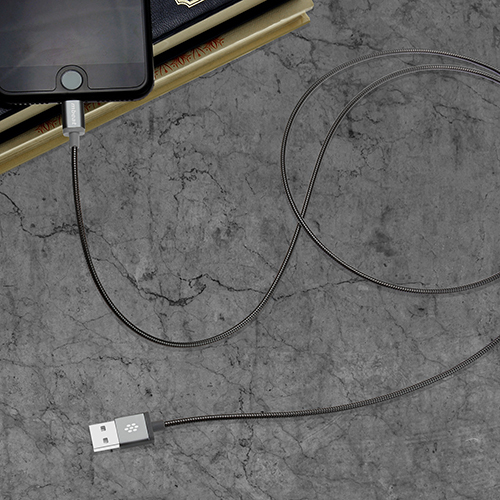 Tangle free design makes cable management in a breeze. 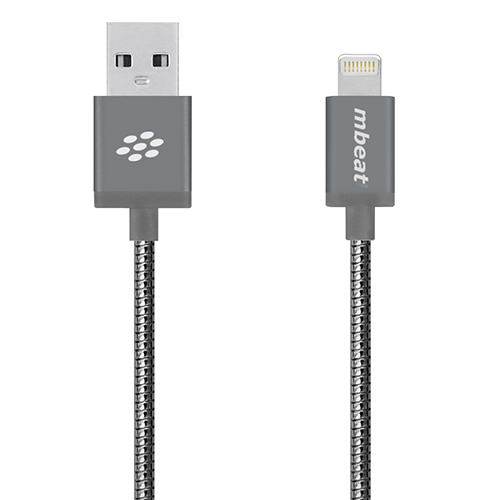 Cable Length: 1.2m / 3.94ft. touch (5th generation), iPod nano (7th generation).